#1 Top Selling Kit on Shoppinkboxcereal.com! This natural mix of bearberry & cucumber extract creates a jelly texture that strips away dead skin cell, dirt & makeup leftovers from your skin. After several use, you will start seeing a reduce amount of blackheads & a clearer pores. Use on dry skin for maximum result! 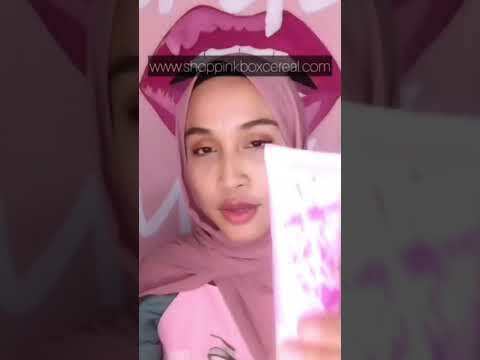 Pinkboxcereal Rose Hydra Toner's new formula contains 7 herbal extracts that act as an environmental shield to protect your skin against harsh environmental irritations. Uses natural Rosa Damascena Flower Water to support skin’s ability to hold on to the right levels of moisture for long period of time. 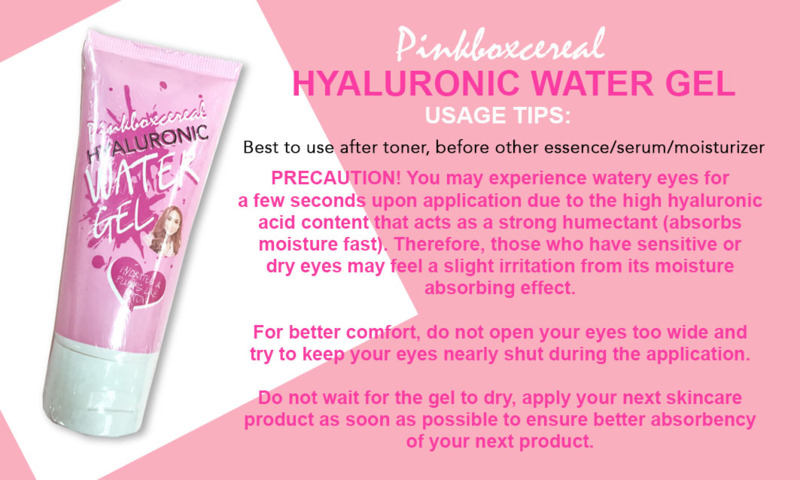 Pinkboxcereal HA Water Gel is a daily essence that hydrates & plumps your skin like botox! The instant plumping & skin tightening effect locks in the moisture & collagen in your skin. Work wonders to slow down ageing process & hydrates your skin throughout the day! Aqua, Hamamelis Virgiiniana (Witch Hazel) Leaf Water, PEG-40 Hydrogenated Castor Oil, Rosa Damascena Flower Water, Propylene Glycol, Phenoxyethanol, Allantoin, Lauryl Laurate, Butylene Glycol, Chlorphenesin, Tetrasodium EDTA, Fragrance, Glycerin, Lactic Acid, Centella Asiatica Extract, Polygonum Cuspidatum Root Extract, Scutellaria Baicalensis Root Extract, Camellia Sinensis Leaf Extract, Glycyrrhiza Glabra (Licorice) Root Extract, Chamomilla Recutita (Matricaria) Flower Extract, Rosmarinus Officinalis (Rosemary) Leaf Extract. Aqua, sodium hyaluronate, propylene glycol, sodium hydroxide, phenoxyethanol, carbomer, polysorbate 20, tetrasodium EDTA, emulsifier.